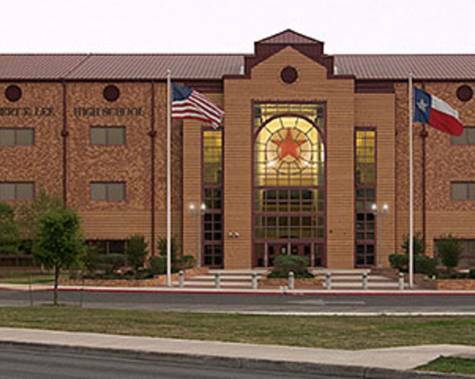 Petition If you're going to change the name of Lee High School, change it to Popovich High! If you're going to change the name of Lee High School, change it to Popovich High! I am a graduate of Robert E. Lee and live in the school's immediate area (Castle Hills). I always dreamed of sending my children to the same high school where I, my wife, my brother, and my brother in law all went. It is an amazing community with deep traditions and strong local support. However, I understand that the name may be offensive to some even though I do not believe that his service to Virginia and the Confederacy should tarnish Robert E. Lee's legacy. His father was a patriot, Robert E. Lee married George Washington's granddaughter, and his family was one of the original first families of Virginia. He was a top graduate from West Point and served the US Army for 25+ years. His true allegiance was to his home state of Virginia, and given the same circumstance, I would wonder what other Virginians such as George Washington, Thomas Jefferson, James Madison, and James Monroe, among others, would have done. That is all besides the point. We live in the new millennium and there has been a huge civil rights debate brewing in the country which has caused a number of knee jerk reactions, one of which is to change the name of the school. I propose, if the school board is going to make such a case to community, why not honor one of our more recent, local heroes: Gregg Popovich. I know this may come off as a joke, but I am being completely serious. He is loved and revered all over the country as the best coach in all of sports and one of the greatest coaches of all time. He started his NBA coaching career in San Antonio with Larry Brown and except for a few years when he went to Golden State, he has been in San Antonio ever since. He has been instrumental in creating an organizational culture in the Spurs which is the envy of the entire NBA. His capacity for leadership, personnel development, and work ethic should be something we teach our kids to strive for and should be honored. He is also a graduate of the Air Force Academy and will serve as the US national team coach for the next Olympic cycle. Therefore, I make my plea to the NEISD school board to honor the man who has been a fixture of our community. Do not name the school after someone who has no connection to our community (Cesar Chavez, George W Lee, etc).